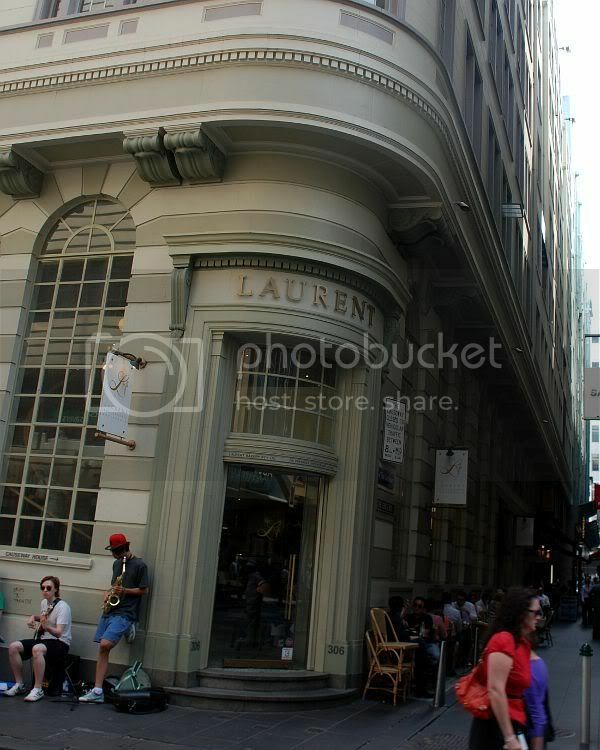 One of the buildings that first caught my eye, when I first walked along Lt Collins St, was this building. Looking from across the street, you could not help but wonder what is situated inside this building. Along the sidewalk, you could see a row of tables, filled with patrons, busy chatting with one another while sipping coffee or a glass of wine. You could also occasionally find a group of street performers, like in this picture, playing their old style of jazz. One day while we were doing some shopping in the area, I told Sayang and family, if they wanted to try out a nice cafe that seems to serve some nice looking sandwiches. Everyone seemed happy with the idea, so we popped in. It looked like a nice cafe, well lit. The first impression was that this place is busy as you could see a long line of people queing to make an order for their food. It did take me a while to make up my mind, but in the end I opted for a Ham Baguette. 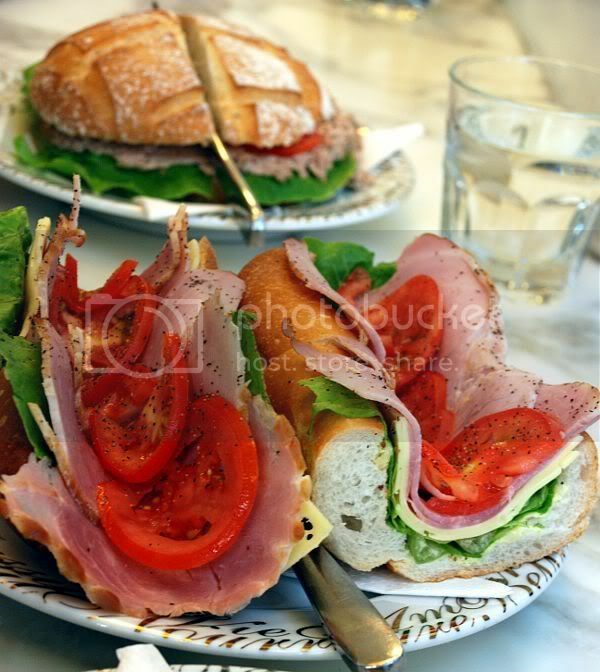 Its a half baguette filled with ham, cheese, cos lettuce and tomatoes. It must have been one of the better sandwiches I've had, I mean a sandwich is a sandwich, correct ? I tell what made the difference. The ingredients were so fresh, I might have mistaken their lettuce and tomatoes to be garden plucked. The bread was fresh, aromatic, had a crispy crust and soft on the inside. All this finished off with a sprinkle of freshly cracked peppers. Unlike most other sandwiches this was not toasted, or pressed. Served cold as is. Sayang and parents went for the Tuna Focaccia bread. Her parents just love Aussie bread. Focaccia bread isn't exactly our main staple in Malaysia. 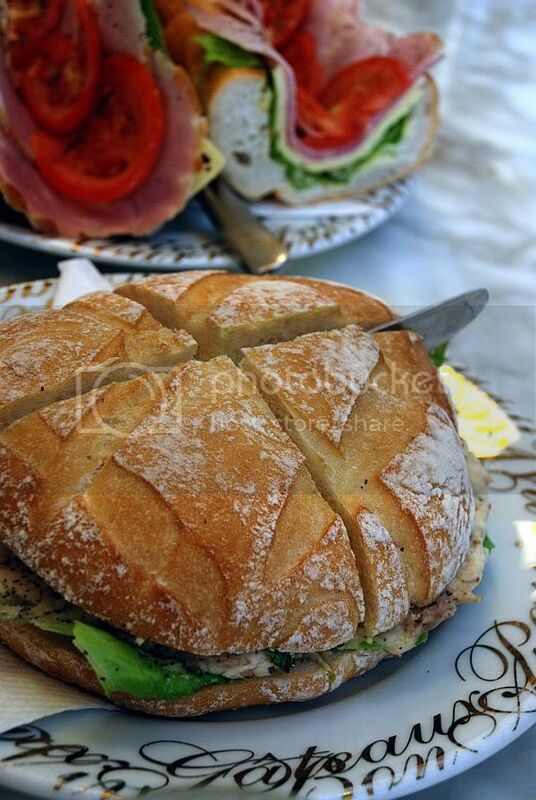 Its simply just focaccia bread with tuna, butter lettuce, and tomatoes. Sounds simple enough ? But I took a bite of it and would say their bread was nicely baked. 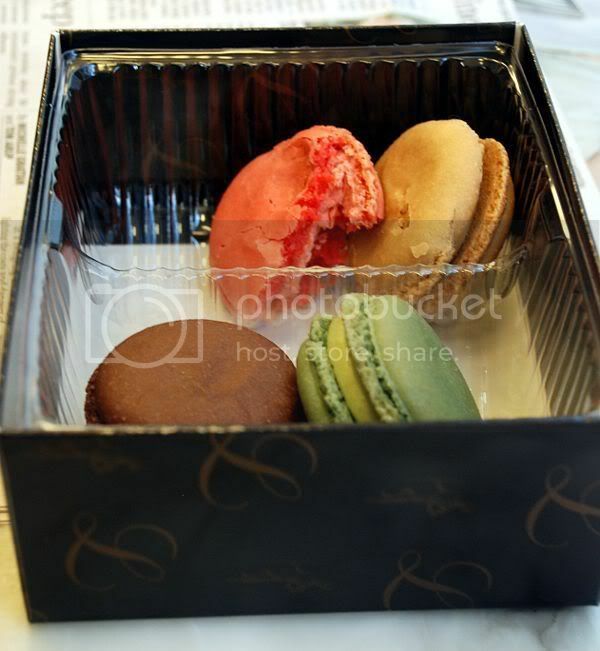 To finish off we ordered a box of six macarons. Unfortunately for us, macarons is one of the hardest pastry to make at home. Theirs had a nice firm crust on the outside, and a bit chewy on the inside. The flavours were just exquisite. The best thing about this restaurant is that, although it looked like a million dollars, the sandwiches were just about $14 each, the macarons were just about $15 for a box of six. Coffee and tea was nice and decent as well. For more information about Laurent, please visit their website.